KwaZulu-Natal casinos are a great way to pass time in the province. While many think of uShaka Marine World or the Durban July at the mention of the province, the casinos in the area are also noteworthy attractions. Read on for some useful information on KwaZulu-Natal casinos. 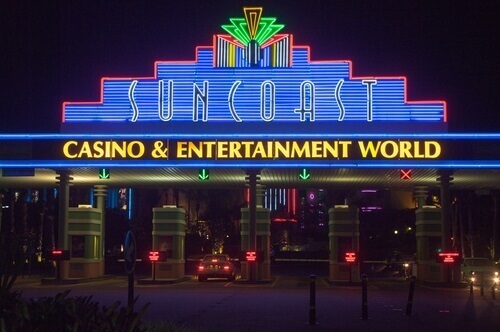 The Sun Coast Casino is located at the Northern end of KZN’s largest city, Durban along the “Golden Mile”. In addition to gambling at the casino, visitors can also enjoy the complex’s semi-private beach, a beach bar, restaurants, cinemas and regular live entertainment. Visitors who are keen on having a good time inside the casino can choose from 1 600 slot games as well as 67 gaming tables. Also in Durban, the Sibaya Casino is a short distance from the King Shaka International Airport. Although Sibaya caters for business events, it is not all work and no play. Entertainment at the Sibaya Casino and Entertainment Kingdom includes movies, theatre shows, and other special events. But whether guests are there on business or for pleasure, they can either opt for a comfortable lodge room or a luxury hotel room with views of the ocean. Unwinding is made easy by not only the great restaurants and swimming pool area, but also an in-house spa and a creche. Visitors at the Sibaya Casino can hit the slots or enjoy some table games. The Sibaya Casino boasts 1 214 slot machines as well as 49 gaming tables which include baccarat, blackjack, poker and roulette. Located in the capital city of the province, Pietermaritzburg, the Golden Horse Casino is hard to miss. The horse statue entrance marks the tallest horse statue in the world. Inside the casino itself, gamblers can try their luck on a selection of over 450 slot machine games as well as 22 gaming tables. When not gaming, visitors can enjoy a great dining experience, grab a drink at a bar or play golf at the Golden Horse Driving Range. This is not it for gamblers or non-gamblers who would like to indulge in some casino activities in KZN. Other amazing KwaZulu-Natal casinos include the Umfolozi Casino Hotel, the Blackrock Casino and the Wild Coast Sun Casino. To read more on South African land based casinos, click here. For information on North West casinos, click here. And click here to read about Free State Casinos.